In a new and surprisingly interesting video interview for the New York Times, the unlikely trio of Skrillex, Justin Bieber, and Diplo come together to explain how they made a hit song together. “Skrillex would have probably never done a song with Bieber a year before, two years before,” Diplo says. And yet, here they are making “Where Are Ü Now?” together in perfect distorted harmony. The track started with a simple piano and vocals track from Bieber, and then Diplo and Skrillex got to work, playing around with the vocals to create harmonies and laying down the drums. The most interesting sound in the track, which sounds like either a violin or some sort of flute (Skrillex provides the more accurate description of “a dolphin singing”), is actually Bieber’s own voice pitched up, distorted, bounced, and re-bounced. Skrillex compares himself to a painter and, sure, we’ll let him have it. 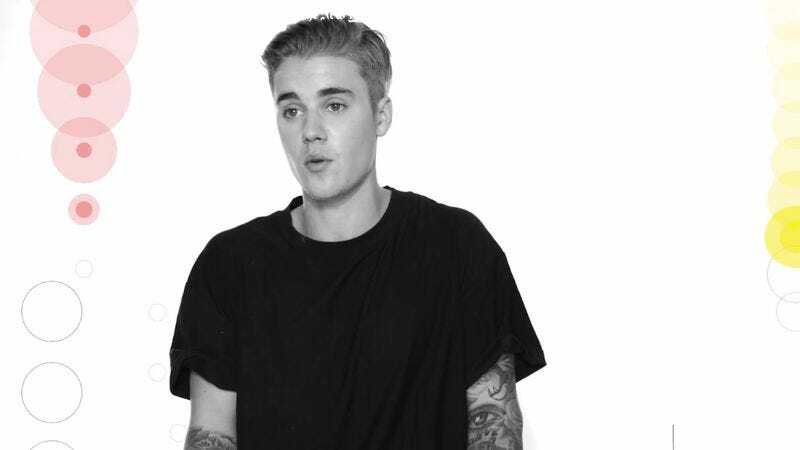 Bieber talks about how his vocals and emotions have matured now that he’s a fully realized 21-year-old. The sounds Skrillex and Diplo pump his song with definitely don’t have the typical Bieber bounciness to them. But he makes it pretty clear at the end of the video that he’s heading in a new direction, and that “Where Are Ü Now?” is just a taste.